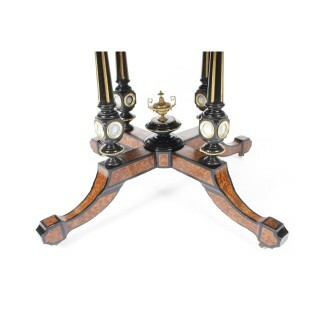 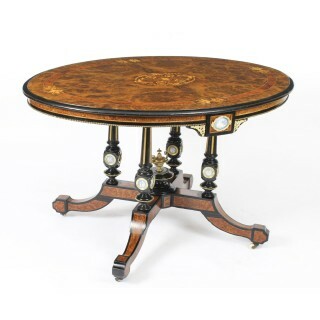 A lovely antique Victorian burr walnut marquetry and ebonised library table/centre table with Jasperware plaques, circa 1880 in date. 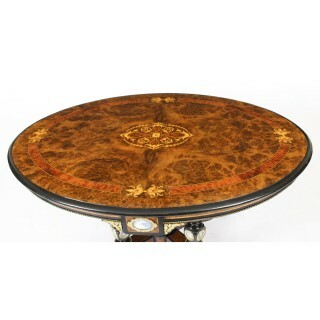 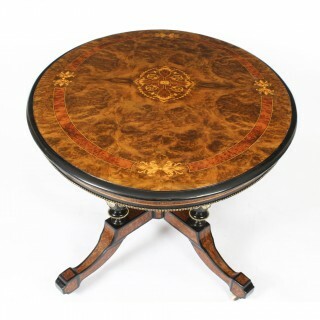 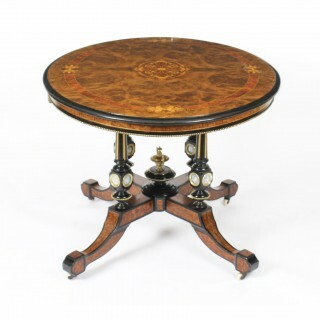 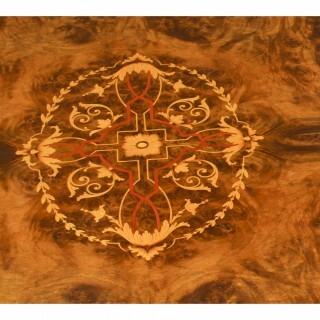 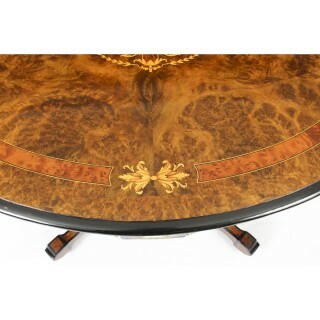 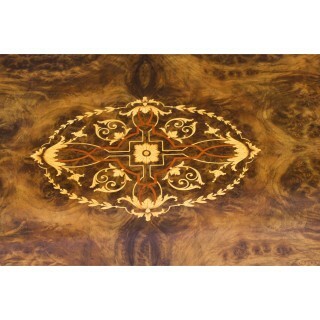 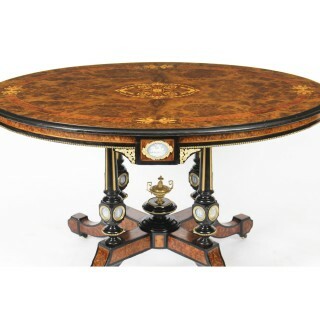 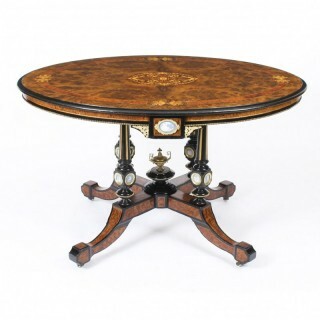 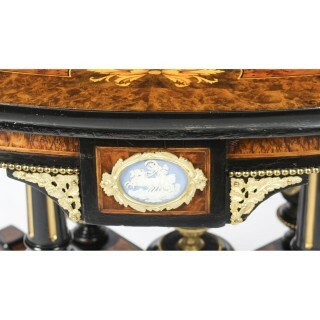 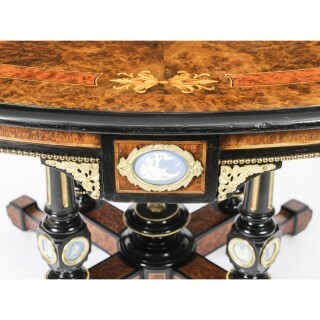 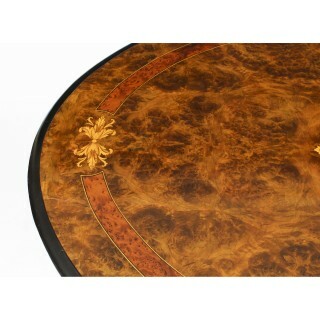 The oval burr walnut table top is decorated with foliate and floral marquetry, the frieze is further embellished by a pair of decorative ormolu framed Jasperware Wedgwood plaques and finished with beading around the lower circumference. 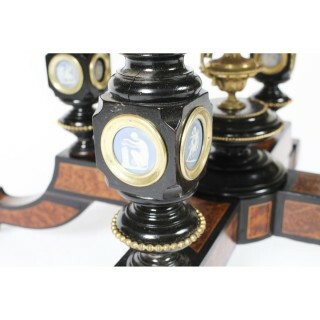 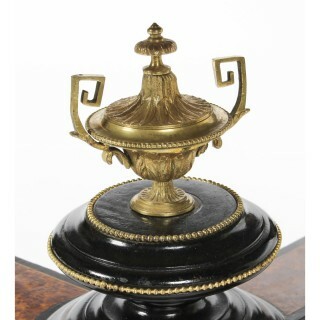 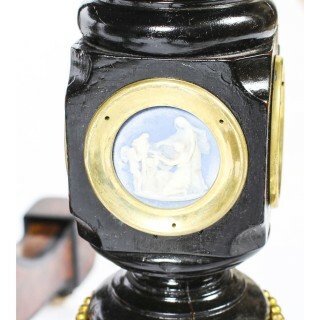 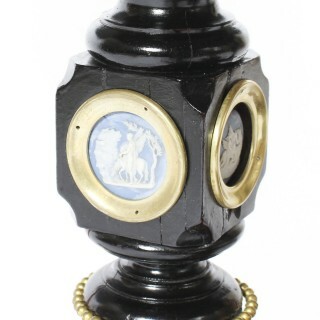 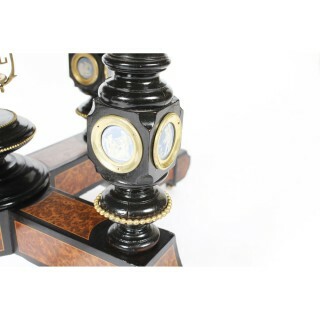 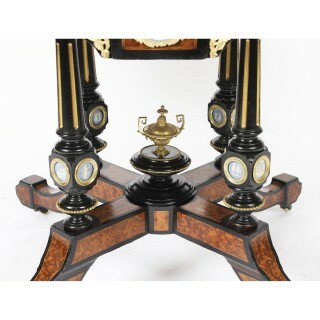 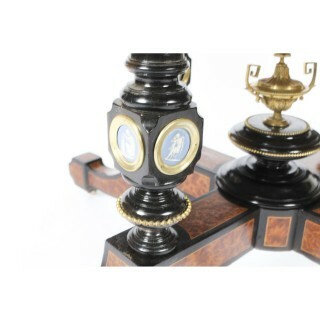 The four ebonised turned columns features further Jasperware plaques with ormolu mounts and are raised on a quadruped cabriole base decorated with a central ormolu urn.